If you’ve been considering gutter replacement for your home or business in Rio Rancho, New Mexico, or another nearby area, don’t delay. Poorly functioning gutters can cause a variety of problems that can be costly to fix, including roof rot, landscape erosion, and more. Fortunately, ABC Seamless of Albuquerque has proudly served the area since 1989, so we understand these problems and know how to prevent them. ABC Seamless of Albuquerque provides durable gutters that are precisely measured and cut on-site before being installed. This seamless construction means your new gutters will never crack, break, or leak because our steel gutters have no seams – points at which your gutters are generally more susceptible to such issues. Furthermore, your new replacement gutter system will be 30 percent wider than traditional models, which allows it to handle more rainfall so you won’t have to worry about your gutters overflowing. Our gutters are essentially maintenance free, which means that no painting will ever be required. Our seamless rain gutters will blend in with your home’s soffit and fascia to create a unified look. Many colors and styles are available to ensure that your new rain gutters match the rest of the exterior of your home. Additionally, ABC Seamless of Albuquerque offers gutter guards to protect your new rain gutters from twigs, leaves, and other debris that can build up and cause the water to not flow properly. 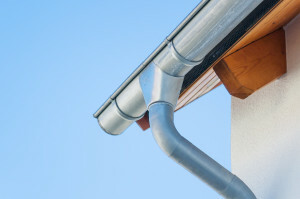 When you are ready to schedule your gutter replacement project in Rio Rancho, NM, or a surrounding area, contact ABC Seamless of Albuquerque today. Give us a call, or stop in and visit our beautiful showroom open Monday through Friday.